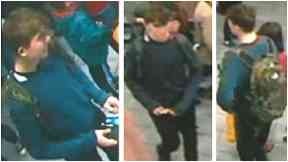 Liam Smith, 16, disappeared after boarding a bus in Aberdeen last Saturday. Scotland manager Alex McLeish has joined the search for missing Liam Smith, with a video appeal to help trace the teenager. The 16-year-old was seen on CCTV at Union Square shopping centre in Aberdeen on Saturday, November 17 before boarding a Stagecoach Bus bound for Banchory around 20 miles away. It is thought he bought a ticket for Raemoir Road in Banchory, but a passenger has told police they think Liam got off at Crathes. 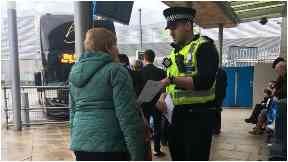 A week on, officers returned to Union Square, Crathes and Banchory to speak to people who are regularly in the areas and may have seen the teenager last week. 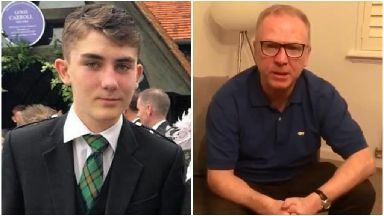 Former Aberdeen player Alex McLeish has joined forces with the police to record a video message urging football fan Liam or anyone with information on his whereabouts to get in touch. The Scotland manager said: "This is an urgent appeal for anybody who knows the whereabouts of Liam Smith. "Liam, if you're watching this message, please come home. Your mum, Alix, and your family are very anxious to see you returning. "Liam went missing on November 17 so anybody who has seen Liam in these days since that date please contact Police Scotland or his family." 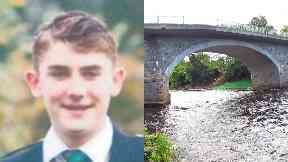 Concern is growing for the 16-year-old, and on Friday police divers searched the River Dee at Banchory. Liam, from the city's Queens Road area of Aberdeen, is described as white, 6ft 4in and slim, with short brown hair. He was wearing a dark top, blue jeans and Nike Air Max trainers, and was carrying a camouflage print North Face bag. Earlier this week, his mother Alix Smith said: "As each day passes we are becoming more and more desperate to find Liam. "We are literally clinging to the hope that he is out there somewhere taking shelter. "Not knowing where Liam is is just so painful for us and we just want to find him safe." Police: Divers searched the River Dee. Chief inspector Martin Mackay said the force has received around 100 calls with potential information. He said: "Over the past week we have enlisted the expertise of numerous resources ranging from the Police Scotland helicopter to specialist search advisers and the dog unit, all of which combined give us the best possible chance of finding Liam. "However there is no denying that this is a challenging enquiry, not helped by the fact Liam does not have access to a mobile phone and that no one knows for sure why he would choose to head in this direction." Chief inspector Mackay added: "I must highlight the significant support we have received from the public, ranging from people calling in with information and potential sightings of Liam to simply sharing our numerous appeals online. "We have taken around 100 calls so far and every single piece of information is being explored. "I know that many people have offered to assist with searches however we carry out these operations in a highly specialised, methodical way with officers who are trained and experienced. "When we open up our searches to the public this will be publicised. "